I’ve been using WordPress since 2010. Ten years of blogging on my personal blog, and hundreds upon hundreds of freelance articles on dozens of others. I’ve been doing this a long time. So when I heard that the new Gutenberg WordPress editor was close to completion, I was itching to try it out. I love new software, and get a kick out of shaking things up. So I was hoping to be blown away. I wasn’t. Oh boy, I wasn’t! Now I know that beta versions of plugins are buggy, so I’ve already cut it a lot of slack. I wrote a full-blown post of 1500 words on Gutenberg yesterday, complete with screenshots and everything else. I came away stunned that WordPress could release something like this on the unsuspecting public. Before I get into the problems, I have to write a short description of the major paradigm change that Gutenberg brings. You think you’re writing a single document. Let’s just say that Gutenberg thinks otherwise. The new editor doesn’t treat your post as a single entity. It splits everything into blocks. Paragraphs, images. Even headings get their own block! And it takes this concept to the extreme, which ends up creating problems. So here’s a list of 10 things that bug me about WordPress’s revamped Gutenberg editor. Experienced writers use navigation shortcuts to move quickly from one part of the document to the other. It’s so common that I don’t even remember what those shortcuts are – it’s all muscle memory. Need to go to the beginning of the document? I watch as my fingers type in Ctrl+Home. Reality: Only the contents of the current block are selected! See what I mean? This is ridiculous. This is all the same article. Not fifteen different ones! Update: Ctrl+A now selects all the blocks instead of just the one. It looks a bit weird, but at least it works. Other shortcuts like Ctrl+Home still don’t function. Professional writers know to use keyboard shortcuts for creating headings and paragraphs. The classic WordPress editor has taught us that Alt+Shift+2 creates a new “H2”. Heading. Pressing “3” instead of “2” makes it H3. Little things like this save time, and keeps us in the flow. No need to move our hand to the mouse. But Gutenberg breaks this, and years upon years of muscle memory. Now pressing shortcuts like Alt+Shift+2 merely selects the line of text. It doesn’t convert into a heading. Is this a bug, or intended behavior? I hope it’s not something WordPress intends to leave for later, thinking that it’s a low priority. That’s Google’s strategy, not Automattic’s! You know the main use of my mouse pointer while editing? To place my cursor where I want to start typing. Either to make a link there, or select some text with the keyboard for formatting, deleting an extra space, or correcting an error. You know what I DON’T use my mouse pointer for? To move the paragraphs up and down! I also don’t use it to get a “menu”, a trash icon, and a whole bunch of other stuff. Gutenberg however, obliges by filling my screen with trash whenever my mouse pointer happens to hover over a “block” (which is basically everything). Like, why would you do this? How many times have you moved your mouse over a paragraph with the intention to displace the thing up or down? What is the use case here? Is this actually something that people want? Forget about “distraction-free writing”. Gutenberg is “distraction heavy” writing. It’s not just you and words on the screen. It’s you, lines demarcating blocks, unhelpful icons everywhere that disappear and reappear as you move around the article. The line between “placing your cursor” and creating a new block is very thin. You better have pinpoint precision with that mouse. I often quickly peek at the bottom of the WordPress editor to get a quick idea of the number of words on the page. I to do this without breaking my flow, and without distractions. That functionality is chopped in Gutenberg. Along with other unhelpful stuff like the number of paragraphs and blocks. Seriously – in 10 years of writing, I have never once been curious about the number of paragraphs in my article (or blocks). Who needs this stuff? And while designing it, did anyone pause to think about whether or not it’s useful? Some themes like Genesis have useful options below the WordPress editor. For example, you can change the layout on individual posts or pages. I don’t personally use it, but others might have gotten used to that functionality. But the Gutenberg WordPress editor axes it. Again, I don’t know if it’s a bug, or whether they expect us to find that option elsewhere. And if it happens with Genesis themes, I’m willing to bet that a lot of your other plugin boxes below the editor are going to disappear. Adding on, basic stuff like custom fields are missing! Custom fields are a great way to specify individual parameters for posts or pages. Like say a special image URL for Facebook. Or a special image apart from the featured image for the post. Earlier, you could hide or show these options using the “Screen Options” button at the top. That facility has been removed in the new Gutenberg WordPress editor. I’m told there’s a separate plugin for custom fields. But yeah, that’s what we need. One more plugin to enable by default into WordPress. Now you may say that these are just comments, and it doesn’t matter that they’re there. Except that it does bother me. I like to keep things as clean as possible. And if you want to transfer your Gutenberg code to another WordPress editor or HTML viewer, then these junk comments will follow as well. I just don’t like that. Though I suspect that this will be going away soon once Gutenberg is fully integrated into WordPress. Some of you may say that these are just the problems of a beta plugin. I disagree. These look like deliberate design choices to me. Stuff like ditching global text shortcuts are a natural outgrowth of the “block” mentality. No one took an “accidental” decision to put a separate button for the word count. I’m sorry, but the new Gutenberg WordPress editor is just a bad replacement for what we have now. Yes, the current editor is a bit slow and outdated. But it’s been refined over years to give us what we need. Gutenberg chucks a huge bunch of that learning out of the window and expects us to get used to it. Sorry, but that’s not going to happen. Not unless they change it in a fundamental way. In the meantime, I’m going to be composing my posts in Microsoft Word. This is what I’ve been saying all along – roll Gutenberg into WordPress.com as the default editor and then have it as an option via Jetpack or a standalone plugin for self-hosted installs. Ah, this is honestly everything I feared that would happen. What I fail most to understand about Gutenberg’s purpose is my experience as a writer. When I’m typing something out, I don’t want to have to stop each time and focus on stupid blocks. If I wanted a site builder, I’d have installed one already. I installed the “Classic Editor” plugin. Literally cannot be bothered with Gutenberg, and I’m so miffed by the intrusiveness. It seems as if they’ve changed stuff just for the heck of it. I run many WP sites and one of them is a Meetup alternative. The majority of group admins struggle using the editor. They are not technically minded. They would get totally lost using a page builder – any page builder. Page builders for WP are nothing new and are a good option for those who want to use them. But the key word is “option”. The attraction of WP is its versatility. You can make your sites as simple or complicated as you see fit. If they make this hard-coded and block any plugin that tries to disable it, then they are going to lose a lot of long-term users. Meetup revamped their platform in December 2017, alienating the majority of its users. It seems companies are not interested in what their users think. If they think they have a good idea, they deploy it whether users think it’s good or not. Criticism is tolerated at first, then policed and finally blocked. Already the WP moderators are deleting posts that don’t support Gutenberg. Why companies deliberately shoot themselves in the foot is beyond me. 100% agree. Currently I’m working on a project where Gutenberg will fit brilliantly. Taking the stress out of content creation for the editors who, may be great writers but, are mainly not particularly tech savvy. Then on other projects, Gutenberg just gets in the way, like this article suggests. In those projects, the writers just want to write and are well aware of how to add images, use pull quotes etc. For these I’m readying an email explaining how to dump in an HTML block as per usual. The problem is, you’re damned if you do, damned if you don’t. If they want to kill WordPress, this is one if the ways to do it. OMG! So to resume, y’all are suffering from neophobia. You don’t believe these are valid criticisms? If not, why not? Nope, I love new. I thrive on new. I need new in my life. I stagnate if I don’t get it. This on the other hand is garbage. Gutenberg was non-functional on my site so none of this mattered. I could edit a page or post but not save it … at all. It would not update! After a half hour on the phone with my web host we decided to turn the classic editor plugin on and see what happened. All problems disappeared. So I will stay with the Classic editor on all sites I manage. It is a new thing, all my theme bought from themeforest not support this editor. I think it may take long time for plugins which base on default tinyMCE to cover to Gutenberg. Ok so when Gutenberg finally rolls out in 5.0, why don’t everyone not update to that newest version of wordpress. I do not like not updating, but I would make an exception here. Plus, install the classic editor plugin on top of that. This Gutenberg is not only going to affect the editing portion, but also how the front end is designed. Many of us web designers design custom themes on wordpress. This will dramatically increase my costs as it will lengthen development time. Bottom line. Do not switch to Gutenberg. Revert back to a previous version of WordPress that is not using Gutenberg. Exact. I agree perfectly with you. It is the impression I had when I found myself in front of him. The WordPress team is making a resounding mistake, implementing it by default. In my opinion if they really wanted it, they would have to offer it as an alternative to the classic editor, which can be set from the settings panel. Moreover, just yesterday, writing a post, and using the classic version on Gutemberg (it is possible as if it were a block), I realized the disappearance of the media button (!!! ): it is not possible to insert in the “classic” block media like photo or videos or gallery. Ps. Sorry for my poor English! Also, that feel of a CMS update being so invasive with themes and plugins baffles me, it is WordPress still open source? I understand concerns about the new system of doing things – it takes time to get used to it. All I read here is based on personal taste and habits, and doesn’t provide any valid arguments against the new direction in WP. It posses more of a challenge to those of us that do coding – learnig React as essential part of the new core, than adding or editing content. Get used to it. It ain’t going away. And the more you prolong the switch, the less prepared you will be when it becomes unavoidable. In order for the Block Editor to be usable, they need to fix some things. I think we should have the option of using a block the way we used to the Classic Editor and make design changes from within it. If that’s possible, it isn’t obvious. As we all know by now, they rolled this out with WordPress 5.0. From what I understand, the Classic Editor plugin isn’t going anywhere either. Some of the bigger sites I work on will be using the Classic Editor – I work with WordPress all day and with these larger websites, I need to be efficient. The Block Editor will stay on the smaller sites so that I can slowly get used to it. My initial response to the change was “yuck” but I think I’ll wait to have a firm opinion until I at least get more comfortable with the Block Editor. I’ll give it a chance, but I don’t think this is a good move on WordPress’s part. With some of the older posts, they transitioned into Block Editor in one block, with the subheadings and images all in that same block. So I suspect composing a post that way is possible, I just don’t know how to do it yet and it certainly isn’t obvious. I can learn from these posts, though. I tried Gutenberg, I liked some new options they offer, but switched again to the classic editor because I found problems they have to fix. For instance, image files could not be centered (although this option was chosen). I could not change the color of links. I tried many things but couldn’t fix both issues. I don’t have these issues with the classic editor. If they solve some problems, I will definitely use it, it’s almost identical to MailChimp’s editor. The whole custom made page attribute functionality of my website crashed, disappeared. And it all felt like demonetisation, you have something useful to do but can’t do it. You have described exactly what my experience and feelings have been. I moved rather recently (over the past two and half years) most of my sites to WordPress (about ten of them, I had only two WP sites earlier), confident that I had found the perfect, lasting solution for my heavily text-content oriented sites. Continuity was for me the keyword. It cost me many weeks of work, not mentioning expenses for paying a designer for doing some things I could not do by myself, but I saw that as a long-term time investment. When I started discovering Gutenberg a little less than a year ago, it depressed me. The entire logic of Gutenberg runs counter the way I am publishing my websites. If I had seen a CMS like that, I would never have switched to WP. I can probably use Gutenberg for two or three of my sites, but not for the other ones. For the time being, I will disable Gutenberg and stick to the Classic Editor. But it is clear that the WP management does not intend to keep the Classic Editor working for many years – a few years, certainly, but I am not sure that it will be there in ten or fifteen years. True, there might be other editors available by then that could be used as substitutes for Gutenberg. But there is no certainty. I am following with much interest the ClassicPress project. I am tempted by such a fork, while wondering if there is a promising future for it. I would be quite interested to read your comments about that. In all honesty, I’ve simply started to type out all my posts in Word 2016, and then copy paste. Earlier, there used to be compatibility problems if you did that, but no more. I run a local club website. I have no HTML / CSS etc training. Basically, I type text in and add the odd image. I am finding no advantage to the new editor and several disadvantages, of which the principal one is simple unfamiliarity. It is frustrating to find I can’t do things I already learned how to do, so I must learn anew. I understand “Gutenberg” will eventually be the only editor available, other than the “Word” option suggested by Bhagwad Park , above. I may well follow his example. I fully agree, but why use Word when Open Office is available for free? It is not very practical if you are truly authoring something. 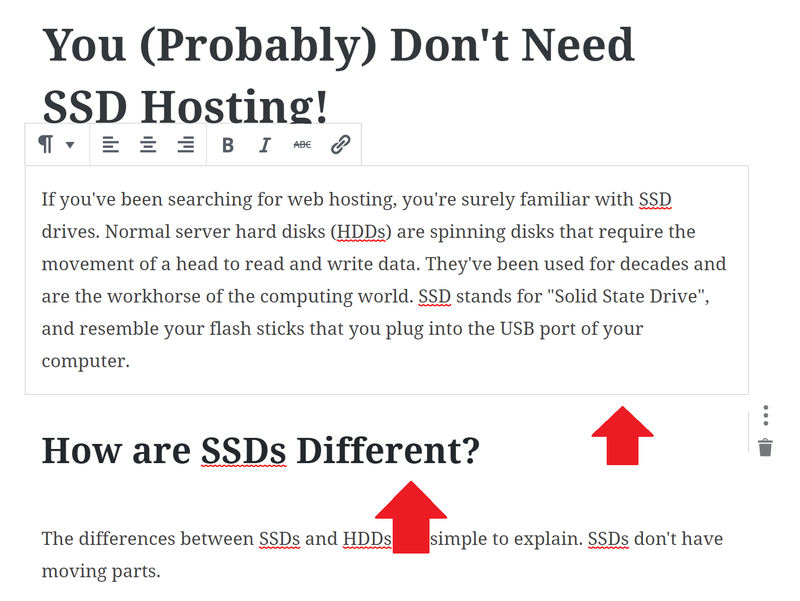 If your website does not have any true writing on it and the text is not the same as standard reading, that is fine. Like a store or a bar or a restaurant, but if you are writing a real blog the new editor pretty much just brings it down to the level of Twitter. It is nothing but in the way for me, and I never do anything but paste my HTML into the TEXT tab anyway. I have already signed up for the fork of wordpress. It’s called ClassicPress and it was created by a developer who decided that Gutenberg is a “disaster” that would not happen to him, so he created a fork of WordPress and calls it ClassicPress. It’s in beta testing now and they are inviting all to participate. Once it’s ready to go live, I will be installing it on my server and saying goodbye to WordPress forever. I’m an author and illustrator and I don’ have the time nor desire to learn to work with a blockhead page builder that has already proven to be a disaster on too many people’s websites. It created nothing but frustration for me when I tested it multiple times. Hey… a great article with great points but I am afraid you have missed a big one for me. Have you ever tried using Ctrl Z (undo) in a block? It’s a nightmare. It actually deletes much more than the last typo. When I tried to retrieve using Ctrl Y, the text disappears and is unretrievable with keyboard shortcuts. Thankfully, there’s hope if you use the undo-redo arrows on the taskbar above. The worst part for me: photo galleries. The classic editor lets me choose between several different styles of gallery, the new one has one and one only. And I hate it. How does one control the width of a sentence or column using Gutenberg? On a 27″ monitor the sentences are much too wide if one hides the right-hand side bar. So bad, this Gutenberg editor. I am happy there was a plugin available (classic editor) to start using the classic editor again. I have been trying Gutenberg, but i cannot get it to work properly. a red banner at the top saying “Updating failed”. I have no idea what that mean, or what I’m supposed to do about it, and I can’t seem to find an answer anywhere. When I try to upload an image to the post page from my computer, I get this error: “Error while uploading file 1.jpg to the media library.” The image is a small jpg, so size and file type are not the issue. Loading an image from media library work fine. I’ve contacted my theme support (Flexible Pro) in hopes that the problem is theme-based, and they can fix it. Thank god they haven’t taken away the Classic Editor. I’ve been having the same problem. If I can’t create a page or post, exactly why should I be using this system? I had a “Updating failed” problem. Contacted my very helpful hosting provider who said the Gutenberg update corrupted the mysql database! Fortunately, they could rebuild the database and my site was saved. Am starting to move away from WordPress now. I’l be blogging about it but I’m not sure if I can put a link here. If you are after a straight blogging platform, check out Publii. I’m also looking into Hugo. 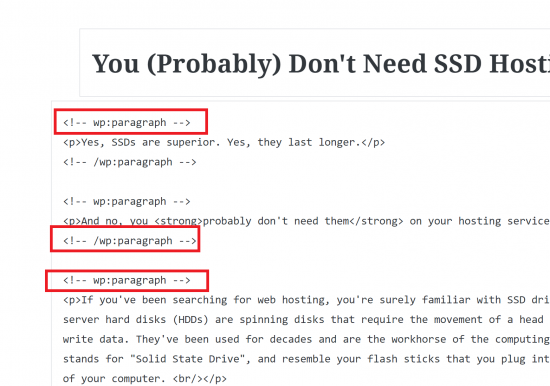 These static sites are lightning fast without need for caches, but there is a learning curve – more about un-learning WordPress! In 30 years of building software and websites I have never seen such a horrid disaster forced on users who trusted a system. We stalled on moving to WP for as long as possible, and our worst fears just came to fruition. Has anyone here ever taken a site out of a builder and back into the default editor? We deal with that all of the time and it is a horror. That code between paragraphs remains and has to be cleaned manually (or through a questionable plugin.) Moving between blocks to edit paragraphs is idiotic, and crushes the option to lift code into notepad for edits. There are so many things wrong with this, even if you don’t consider that blocks will also eventually run their course. Everything does. Why wouldn’t WP just offer 2 versions if they felt they had to do this? It surely looks like certain death of the platform. The logic supposedly was due to industry competition–but there’s no way this should have been a concern. The only thing accomplished is more end-users feeling they can manage their own site without assistance, and having larger problems and bigger fix-it bills to deal with as a result. OMG…. This morning I logged into one of my hosted websites and (stupidly) clicked the upgrade to 5.0 button (not knowing the full impact of that decision). I’m not a professional developer but have historically found WordPress to be a good semi-intuitive way for myself and non-technical users to be able to blog and add content to their websites. What in the Sam hell just happened? I’m scrambling, and will be spending HOURS/DAYS trying to figure out how to use this monstrously non-intuitive editor. My first challenge was to simply add a link to a PDF file. Before, it was easy….add media. I’m an hour-and-a-half in and I still can’t figure it out. Will this cluster of an upgrade auto-update on my other websites that are set to automatic updates? If so, when is that deadline? I don’t have time for this crap. I’m going to bet that in the upcoming weeks the community will find a torrent of people who host websites for others who are non-technical, all of which the users a) won’t have the slightest idea how to use this screwed up interface, and b) will ALL have to be retrained by said website hosting individuals, costing those individuals dozens and dozens of hours in labor, and cost to do so. AMEN!! I tried it for a week or so and have such frustration with glitches and ineffeciency… (I thought it was just because I’m old and it takes me longer… kind of thrilled to see you all are as frustrated as me! 😉 ) I am also so glad to see there’s a plugin to go back to classic editing. DONE! I’ve got 5 sites myself that I am right now mirroring with HTTrack to take back to static HTML. I’ll do my own redesign shortly to clean them all up but this gets me away from WordPress sooner rather than later. I am not a fan of the new editor in any way, don’t like this direction they’re taking with WordPress, so out the door I go. I’ve been toying with the idea for a while, since the Dec update to 5.0. The block editor is a mess. My posts tend to be longish, written in the editor, and heavily edited before posting. The block editor is a disaster for this kind of writing, IMO. Im a WordPress Developer and when I update my wordpress projects to Version 5, all of my custom fields are having problems in backend. That’s why I downgraded my wordpress projects and back to Version 4. Are they actually planning of making Gutenberg a good editor at all ? I’m sure they’ll continue to add in functionality as time passes. For me, it’s the entire concept of “blocks”, and not a specific feature that pisses me off! Great… WordPress already had one of the worst WYSISWYG editors out there (they way it didn’t actually generate HTML code, but instead added paragraph/linebreaks on output – also meaning that if you paste in HTML code written outside of the editor, you would have to manually remove the linebreaks or the braindead add f*&%ing BR tags for every linebreak in the code). And it sounds like they actually managed to find a way to make it even worse! Yet another addition to long, long list of “reasons I don’t use or recommend WordPress anymore.” ESPECIALLY now that the vastly superior CMS ExpressionEngine has gone open source. Is the phrase ditto familiar? Just back into a few WordPress installs, and I am like [email protected]#-~!!. Thanks for the informative article. When I write a post using this Gutenberg editor, Yoast SEO suggestions also don’t appear below the post as it used to appear below the post in the previous editor. Is it just happening to me or with everybody? I don’t understand. Can you tell something about this? I believe the latest version of Yoast works with the Gutenberg editor. Did you check it out? After updating to the latest version I immediately installed Disable Gutenberg plugin to switch back to the classic editor. The whole concept of blocks seems to be a bit confusing. Should try out Gutenberg blocks in the local environment to get an idea of how it works before using in the live website. OMFG without a warning the Gutenberg crap was suddenly there. I was working on a site in the Classic one and after reopening the same page it was Gutenberg all over. Talking about Autosave, blocks and more ‘features’ I didn’t get in 15 minutes even using editors in Joomla and WordPress for years. This is just terrible. Yep, hate it. So relieved when I realised I could revert back to Classic Editor. Most users ABSOLUTELY don’t need Gutenberg! WordPress platform will be lost users! If somebody need Gutenberg – can be use plugin, BUT NOT FULL Integrated in WordPress. Creating page not so easy, like it was before(copy and paste)! For customers most important just add any info(+media) on own blog in 2-3 minutes. I hate Gutenberg! Please remove Gutenberg in next WordPress versions or make 2 versions: with gutenberg and classic! I just tried using Gutenberg, which was pushed on all of us as a forced upgrade. I agree, it’s a disaster. All my existing content was pushed into blocks, and I can’t find anything beyond the first 16 lines of an existing blog post. I see a single block on the page, but can’t navigate or scroll in it and don’t know where the rest of my content went. It does look like there’s advertising or some kind of random junk surrounding the block. I installed the Classic Editor, but that’s buggy also, and I’m having trouble selecting text and moving my cursor around in it. Though it looks similar to the original WordPress interface….it just doesn’t act like it. Automattic/the WordPress team really ruined a good thing. It seems like Gutenberg was designed by people who’ve never created written content before — maybe they’re app developers, not web developers. Maybe it’s fine if you’re creating a website with just images, but not if you’re trying to write something that’s more than a couple of lines long. In terms of disaster, it ranks with “New Coke” and iPhones with no headphone jacks in them. Very bad decision, and it leaves thousands of us in the lurch. If they’re smart and paying attention — and now that they’re scattered in remote locations with no home office anymore, I’m not sure if they ARE paying attention — they’ll come out with an update that makes Gutenberg optional, not the default. Honestly, if WordPress don’t do something about this horrible Gutenberg editor, it will be the end of WordPress as the most popular platform for web developers. Thankfully, we can switch back to the classic editor using a plugin (for the time being). I am a professional web developer and I have used WordPress since about 2005. I’m now looking around for alternatives. Must say I have been looking for support on why Gutenberg is possibly the biggest hype and the largest fail I have seen from wordpress for a long time. The code behind that it produces is horrific. Comments and all sorts of superfluous junk. If you need a page builder spend the money and get a decent one. Siteorigin and WPbakery are usually my go to page editors. yes they cost money but with them comes performance and logic. I delayed updating to the new editor till just before Christmas. Since we did the update, I have virtually not been able to post – as I try to learn how to cope with this clunky new system. How dare they take away the “justify” text option – just because “they” think neat left text is better? That’s like a clothes shop saying they won’t stock blue jeans any longer because the buyer personally prefers black ones. The blocks are not just slower when it comes to preparing posts – I keep losing them. I used to post three articles an hour and now it’s more like one article every three hours, so thanks to this update my income is now 10% of what it was. Anyone know of any alternatives to WP? If not, you’ve all identified a gap in the market – please develop one! Have you heard about the ClassicPress fork? This could be an alternative. And I can’t understand that the WordPress developers don’t listen to their community which made WordPress what it is/has been. I think that a star rating below 2 stars and over 3 million active installations of classic editor plugin is a statement they should react on accordingly. 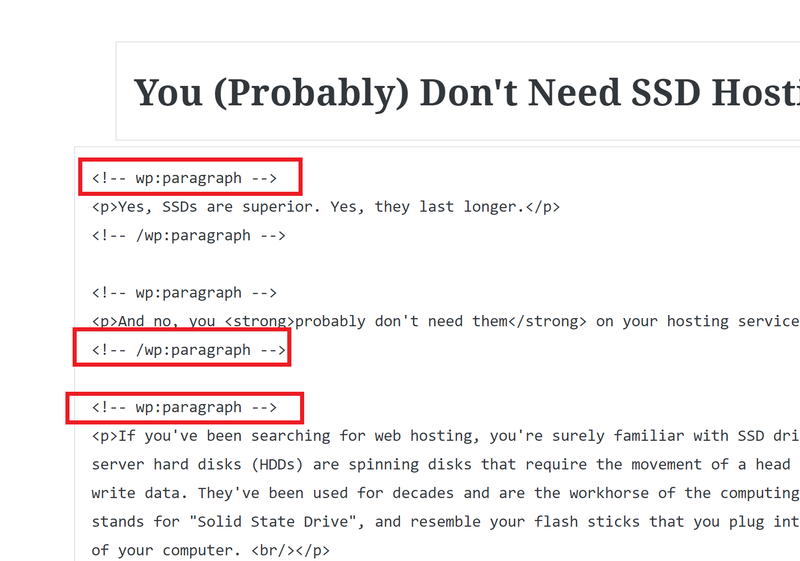 Install the disable Gutenberg plugin and carry on as normal, Hide SEO bloat, Lean WP are also two excellent plusings they clear out the shite Yoasts SEO plugin makes and WP. I have a theory the folks who built Gutenberg dont build websites or if they do theres defo no client involved/deadline/consideration of folks over the age of 14. I think this is what they are so bemused and the rest of us just went WTF! Its a joke the comments in code just makes my skin crawl, I am so sick of helping clients remov this bloat ware from WP. Its sucking the fun out of my job day by day. BrokenPress as it feels now. I install WP and 4 plugins to disable crap, pure and utter crap like the customizer etc. Would it kill them to add all this new shite from the past 5 years in a section in thr admin where it can be disabled. Anyways rant completed. No, I have to disagree. People behind Gutenberg want to infuriate and alienate WordPress users & developers so much that they abandon WordPress altogether. Gutenberg is a disaster. I have installed “disable gutenberg” plugin on all my sites (130+). I’ve been designing websites since the internet was new. I just spent the last two hours trying to figure out how to keep WP from automatically deleting my and tags. Not a single fix worked. Dear WP guys: I’m a big boy. You can trust me with carriage returns. I promise. Their intentions could be good, but the result is a disaster for many users. When I first heard of Gutenberg, they made it sound like it was the 8th wonder of the world of web pages editing. It ended up being just another builder, a little bit clumsy, and changed several WP useful features, like the possibility to easily edit the permalink. Now the offer a useless button to fully change the permalinks scheme, and the edit option is hidden in the “quick edit” option for every post or page. They should have made Gutenberg optional. If want a builder, which I do, I do install a specialized one I like, cos there is not a normalization like there’s in text editors. Some WP themes include their own builders, and in several cases collide with the Gutenberg. I avoided to switch to Gutemberg as long as it was in its beta testing version. But unfortunately after the latest WordPress updates this editor became the default one. I tested it for a couple of posts, but that was the most time consuming and counter productive thing I’ve ever tried in my life. I’ve just installed the Classic Editor plugin and reloaded the posts that I have created with Gutenberg and at this point I realized that I had done to each of these posts more than 20 revisions! I’m considering seriously to switch my website to Classic Press. This Gutenberg crap is simply a nightmare. It seems that productivity and optimal performance is not in the vocabulary of WordPress developers.